I thought I'd begin by saying a little bit about myself and about what led me to write 'My Street Cats'. My name is Raphaella Bilski. I live in Jerusalem in a nice three story cottage in one of Jerusalem’s greener streets, which means that we have lots of tall green trees around. I have a PhD in political science from Glasgow University and a BA and an MA from the Hebrew University of Jerusalem. I taught political philosophy, both ancient and modern, at the Hebrew University for almost 35 years. After about 25 years, I was bored. Terribly bored. In addition, while studying John Stuart Mill’s book ‘On Liberty’ in my seminar Liberty and Equality, the students and I reached a chapter called ‘Of Individuality, as One of the Elements of Well-Being.’ The students started asking question not about liberty, but about well-being and happiness. I had no answers to give them as I knew nothing about happiness. So I took a sabbatical and read everything possible on well-being and happiness, which unfortunately happened to be a hell of a lot of stuff. A year later I started giving a seminar called ‘Happiness’, which became the most popular seminar in my department. You might ask, “What does all of this have to do with cats?” At first glance, nothing. At second glance, everything. Throughout my life, the two beings who brought me the greatest happiness happened to be two cats: Nonny (a hero in this book) and Shnuki (who lived and died after the book was written). In addition to my work in academia, I always had a part-time job to keep in touch with the real world. For many years, for example, I was an adviser on social policy to three of Israel’s Prime Ministers, including the late Prime Minister Yitzhak Rabin. The only problem with this job was that the Prime Ministers took very little interest in social policy. The upside of this, however, was that I had more time to invest in promoting animal welfare, which was my real passion. 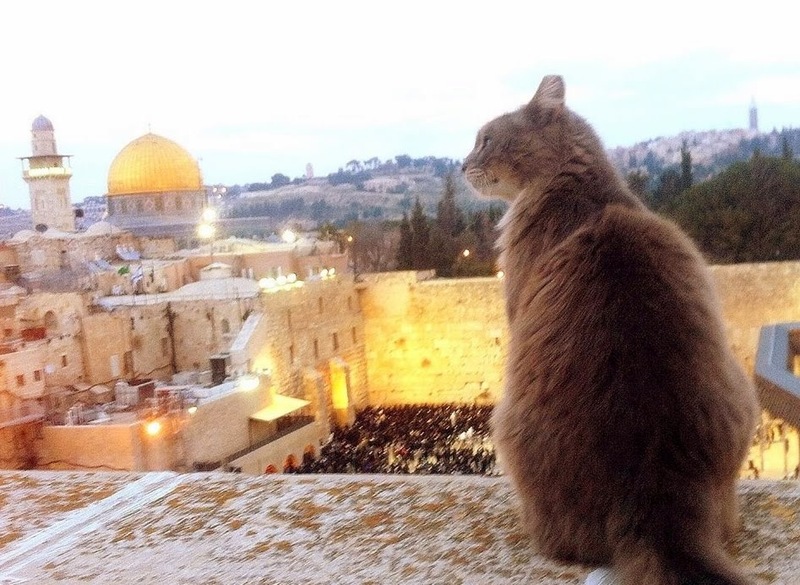 In particular, I focused on caring for and studying the street cats that lived in my neighborhood in Jerusalem. My love of animals I learned from my mother who taught me to take care of street cats even as a young girl. The community of street cats started in my garden in 1993, two months after the death of my last dog, Kato. A wonderful and terrible Rottweiler, Kato was the terror of the neighborhood cats. He killed every cat that dared enter our garden. But in the end the cats had the final word. After Kato died the age of cats began in my garden, which I felt was a fitting feline revenge for Kato’s reign of terror. It’s important to emphasis that as a rule street cats do not form communities. Instead, they live as individuals within a specific territory that is occupied by other cats, but with little or no connection between individual cats except during mating season or in rare cases of feline friendship. What happened in my garden was unintentional. 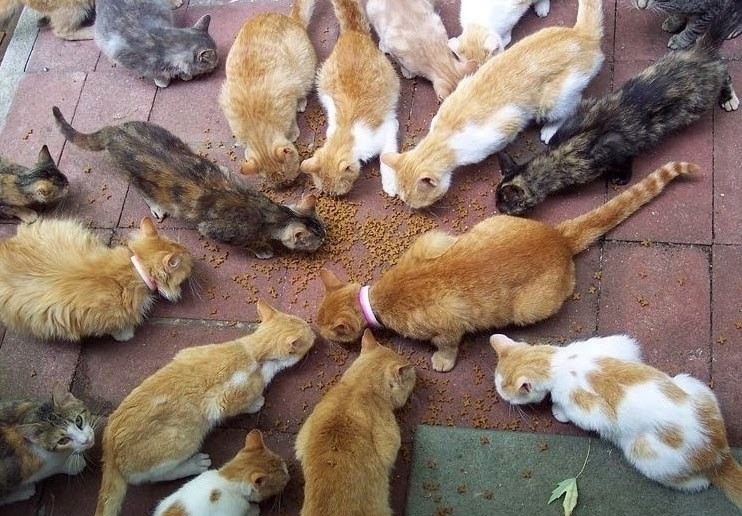 By starting a feeding station there, I inadvertently created a community of cats that spanned several generations in a time when spaying and neutering were uncommon in Israel. It all started because I was worried that the cats who came to eat in my garden would die of exposure in the cold Jerusalem winter. So I decided to set up about a dozen cat houses in my garden. The cats tried them out, loved them, and stayed in the garden, creating a true community of free-roaming individuals which lasted for several generations. Fourteen years of feeding and caring for street cats have given me a rare and unique insight into their lives, their relationships with each other and with the human female who fed them. In one sense, then, this book is an ethological study presented in narrative rather than scientific form, and therein lies its uniqueness. While street cats can be seen in many cities around the world, lurking around trash cans and in back alleys, their world remains largely unknown. 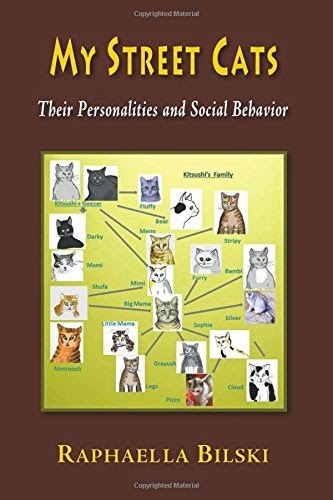 The book provides a rare look into the lives of these cats not only as individuals, each with his or her distinctive personality, but also as members of a community. As we read of the social life of street cats we encounter their hierarchies and the leaders among them, extraordinary displays of courage and friendship, different forms of motherhood, including joint motherhood, a compassionate attitude to the sick and the dying, cats teaching one another, and much more. No other book on cats offers such a long-term and in depth exploration of the lives of street cats in a communal context. The book also examines the complex and problematic interplay between the world of the street cat and our own human world. People often see these cats as a nuisance, at best to be ignored. Through the years I have formed deep bonds with individual cats. In this book, I try to convey to the reader the special nature and depth of these relationships, showing that the street cat can be a warm and loyal friend if treated correctly. I hope that this intimate and emotional encounter with the street cat will transform it from an obscure animal, roaming around trash cans, into a familiar, interesting and sympathetic creature. And this is the main reason why I wrote this book. I wanted to share with others my love for the cats who came into my garden and the exceptional experiences I had over the years with them. But more than that, I want to help change people’s attitudes towards street cats, raising compassion for an animal that is either hated or overlooked. I hope that the book will give people the opportunity to connect with others who care for street cats, ask questions, share experiences, and so help raise awareness of the plight and beauty of these amazing animals who live all around us. Enjoy the book and let me know what you think! BTW: My companion in the picture above is Shnuki - an enlightened and beloved cat who started his life on the street and became a house cat. You'll read more about him in the stories to follow. You are soo interesting and you have done such good for cats! FYI I am Jewish too :) Thanks for finding me on Twitter. My handle there is @catchatcaren and I am following you. I hope you will do the same. I am also following your blog and hope you will follow mine as well. Mine is www.catchatwithcarenandcody.com Nice to meet you!